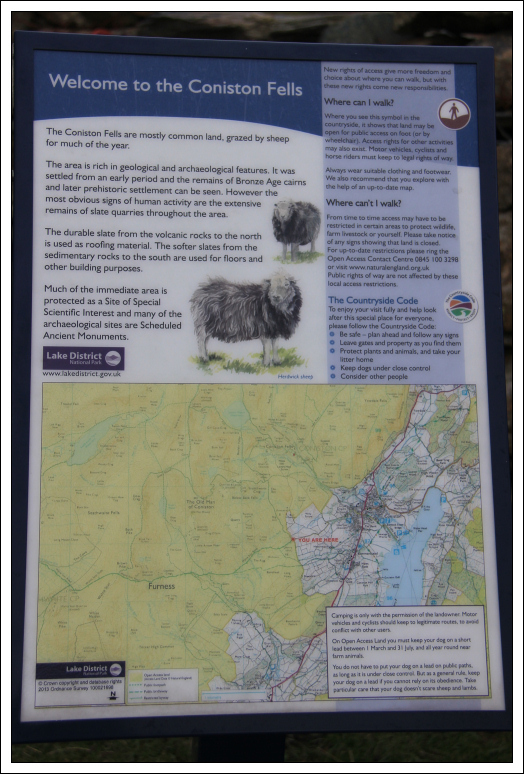 I set out this morning to ascend Coniston Old Man. 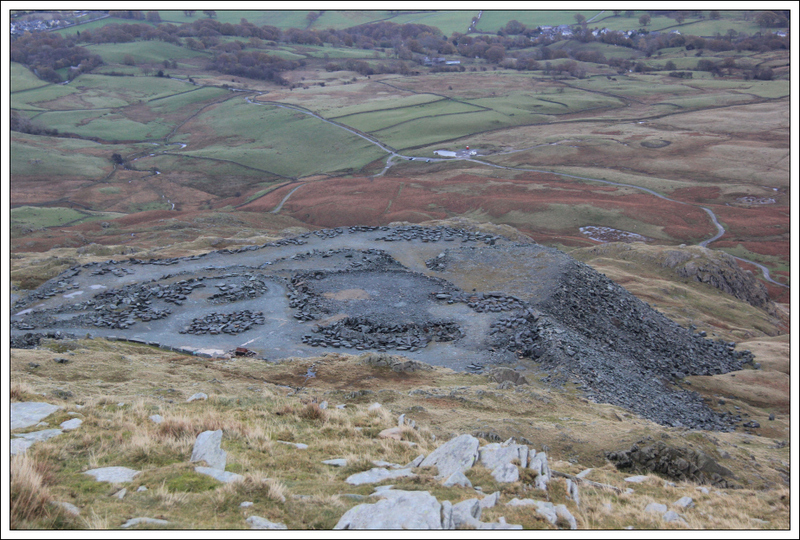 After driving to Coniston, I drove up Walna Scar Road. I parked just beyond a gate at the end of the public road where there is parking for numerous cars and no parking charges. 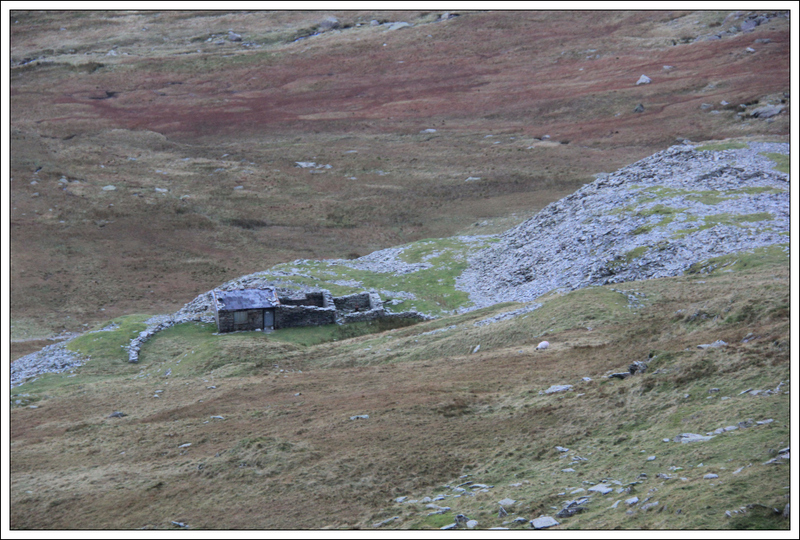 After getting suited and booted, I set off walking along Walna Scar Road. Motorised vehicles are now apparently banned from driving to Seathwaite via Walna Scar Road - the road is a restricted by-way. 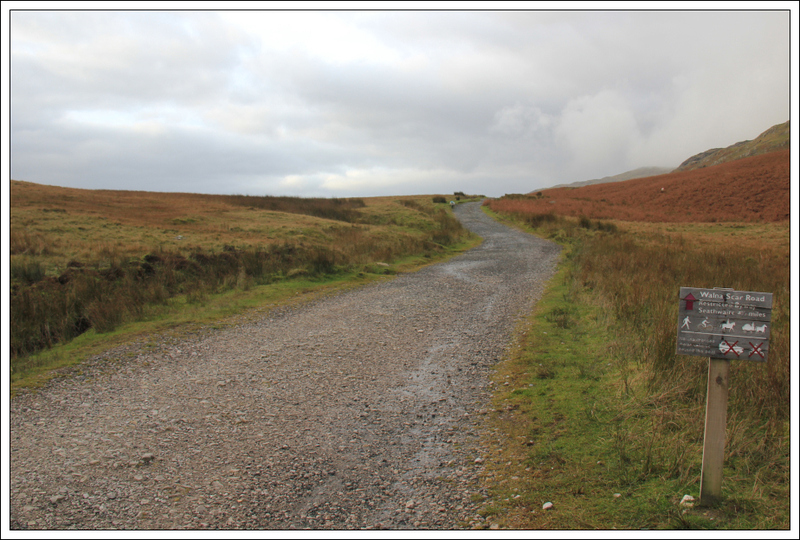 Despite this ban, there were a couple of youths driving along Walna Scar road today. After walking circa 2km I crossed over Torver bridge. 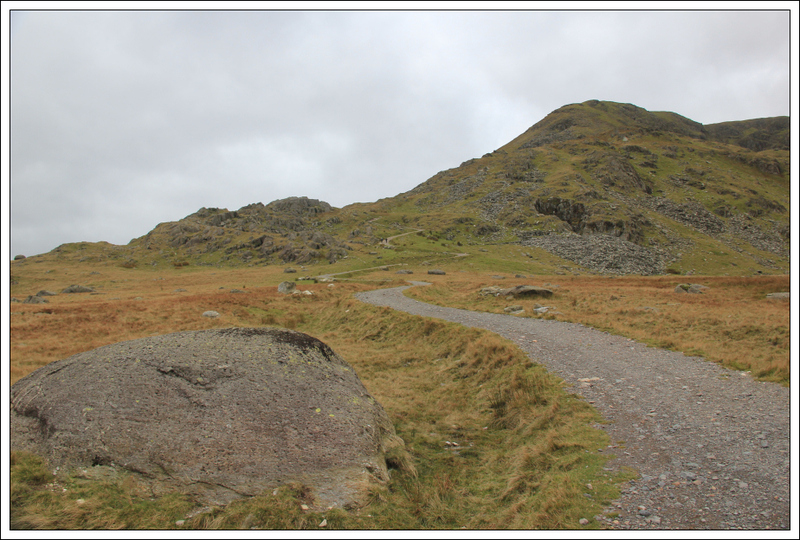 The excellent road made for fast progress towards Brown Pike. 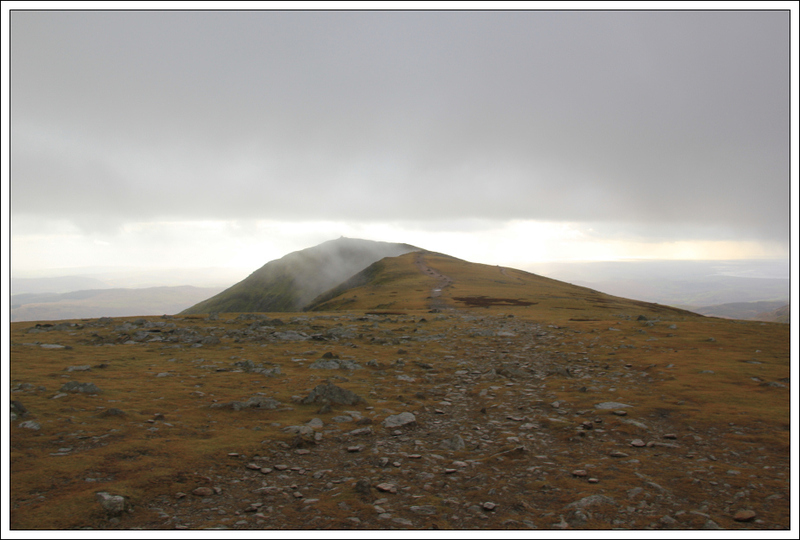 During the initial few kilometres the hills were covered in low cloud. 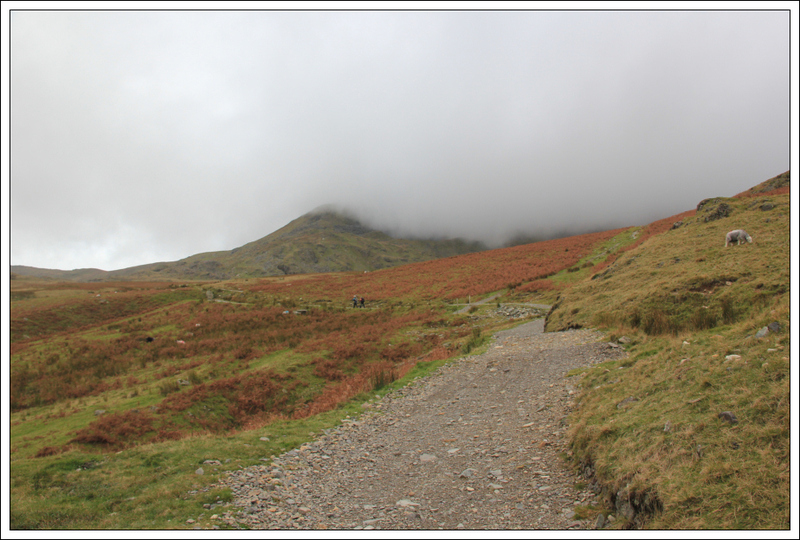 Fortunately, the cloud began to lift as I progressed along the track. 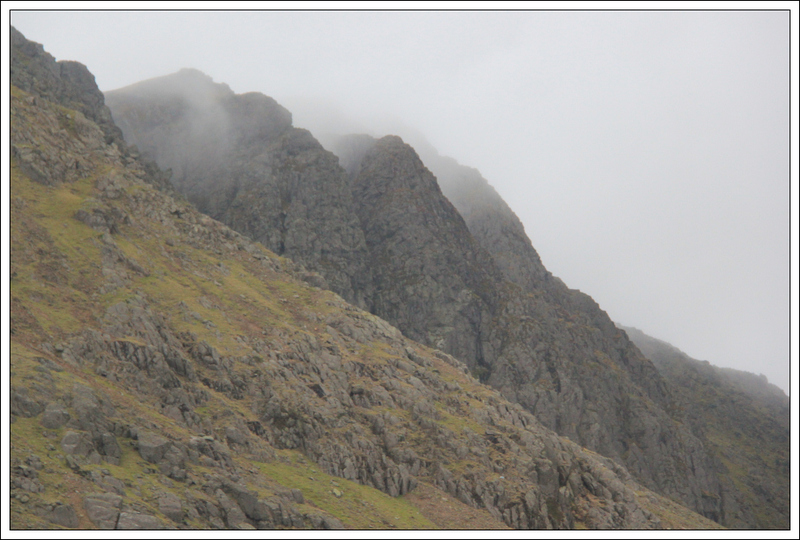 It was nice to get a fleeting glimpse of Dow Crag’s crags during the walk along the road. 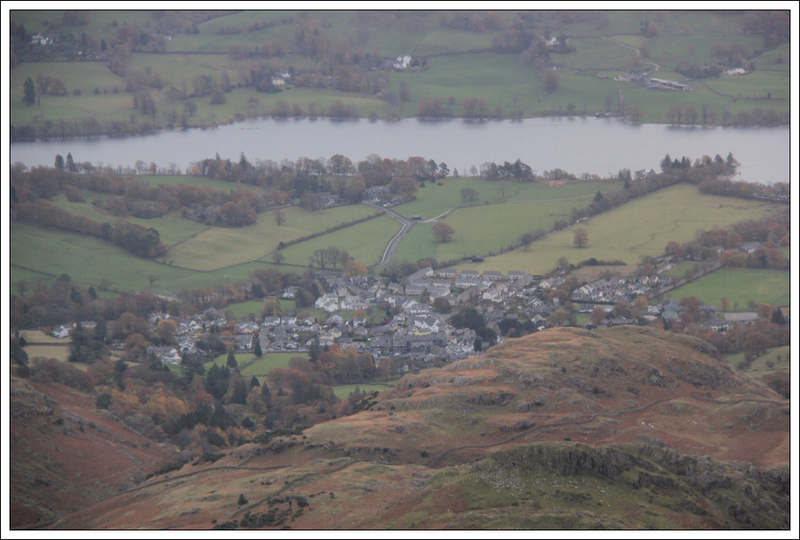 As I gained height I got increasingly good views down to Coniston Water. 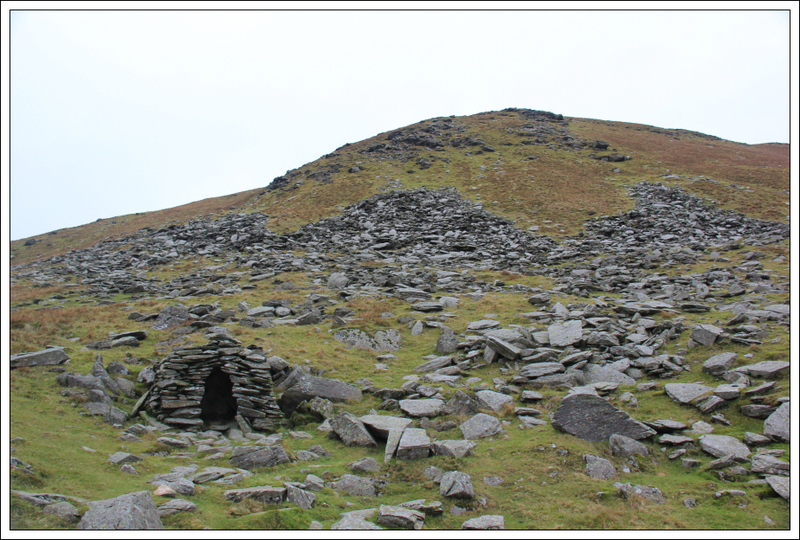 A short distance below the road high-point there is a small stone hut. 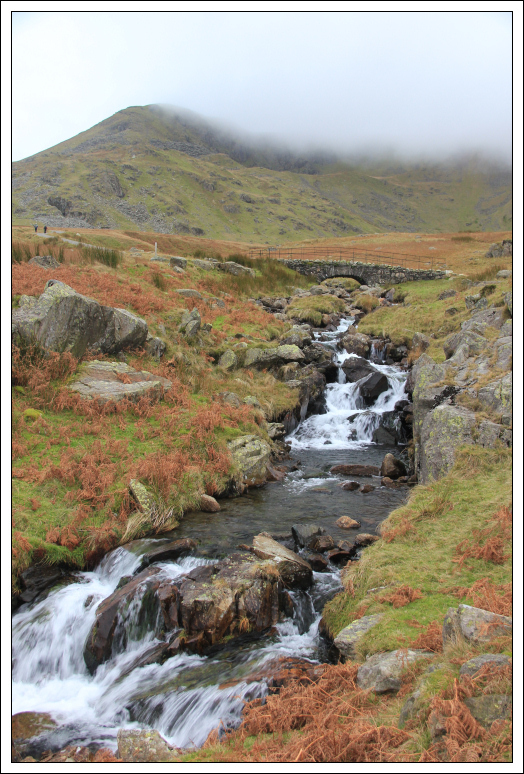 On a good day this walk must provide excellent views across to Scafell and Scafell Pike. Today they were mostly capped in cloud. From the road high-point I could also see Sellafield in the distance. I didn’t stop at all during the walk today. 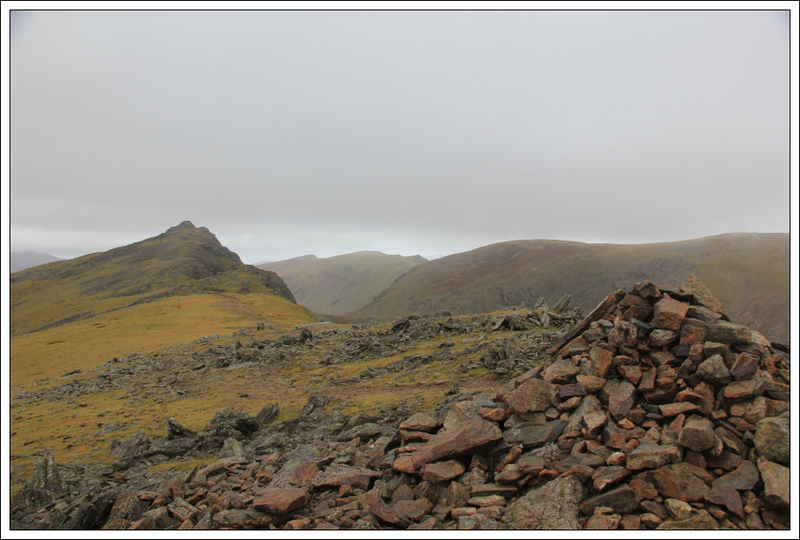 After touching the summit cairn of Brown Pike, I continued on towards Buck Pike. 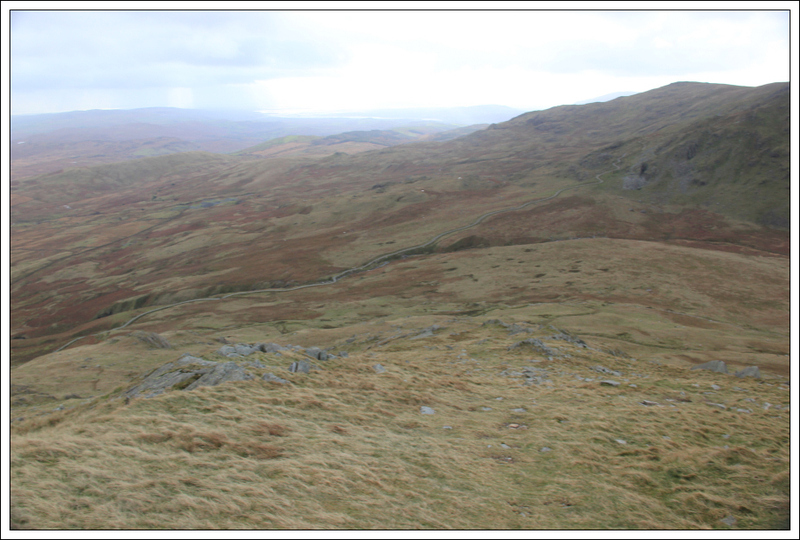 Both Brown Pike and Buck Pike are Birketts but are not Wainwrights. 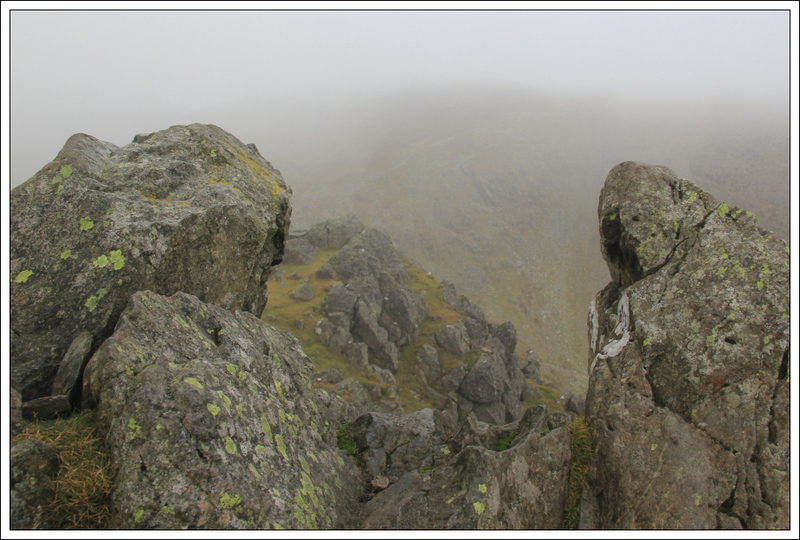 By the time I reached the summit of Brown Pike the cloud had lifted above the summits of Dow Crag and Coniston Old Man . It didn’t take long to walk from Brown Pike to Buck Pike. 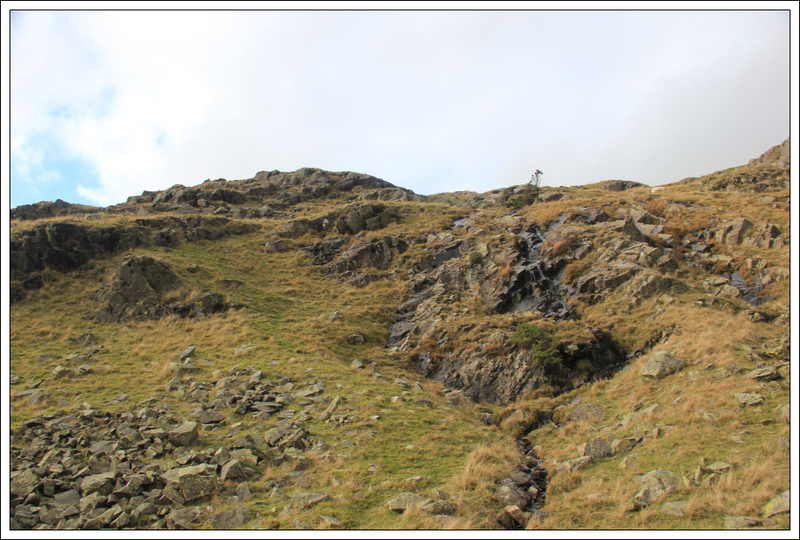 The walk along the cliff-edge from Buck Pike to Dow Crag was quite interesting. 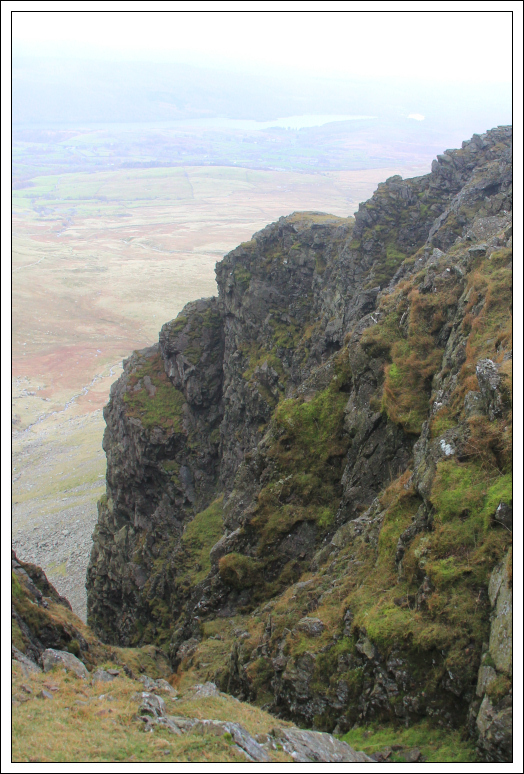 The crags on Dow Crag are impressive. There was a large raptor standing on the crag. It was too far away to identify but I guess it was a Buzzard. 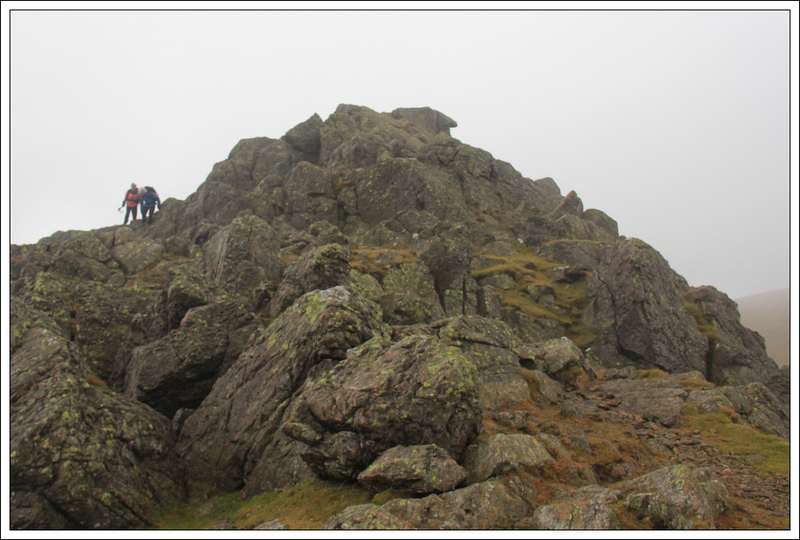 The final ascent to the summit of Dow Crag was an easy scramble albeit the rocks were quite wet and slippery. 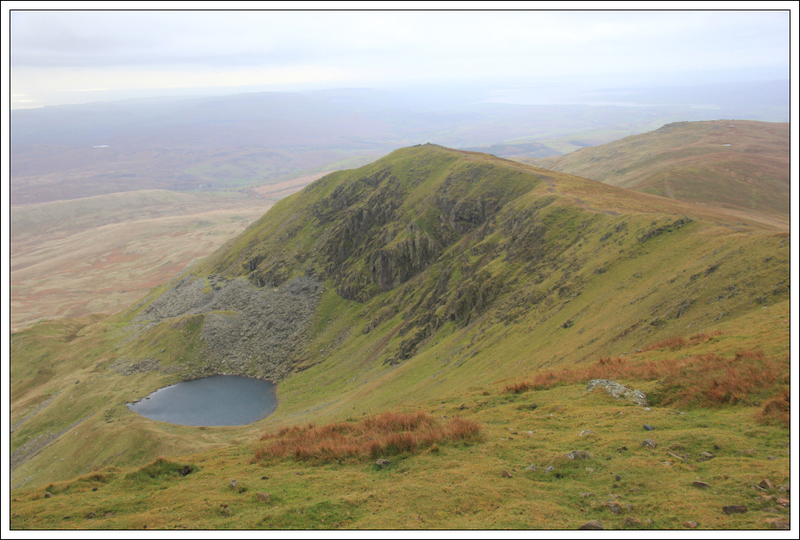 From Dow Crag, I continued on to reach the col between Dow Crag and Coniston Old Man. 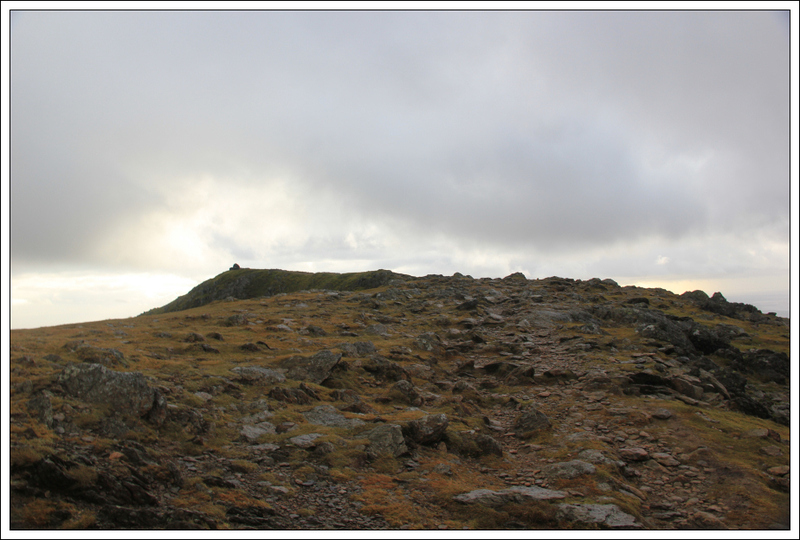 During the ascent I took a small diversion to reach the summit of Brim Fell. 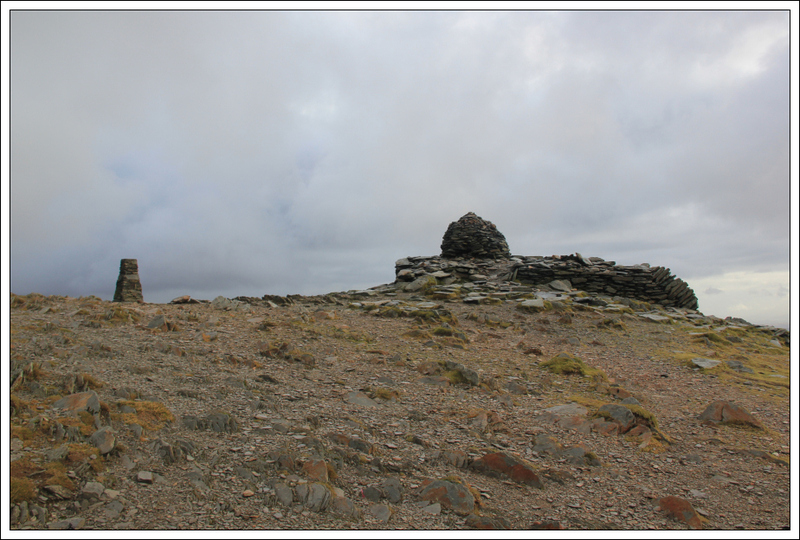 On reaching the summit of Brim Fell, and for the remainder of the walk, I was blasted by gale force winds. The wind speed increased quite substantially and quite suddenly. 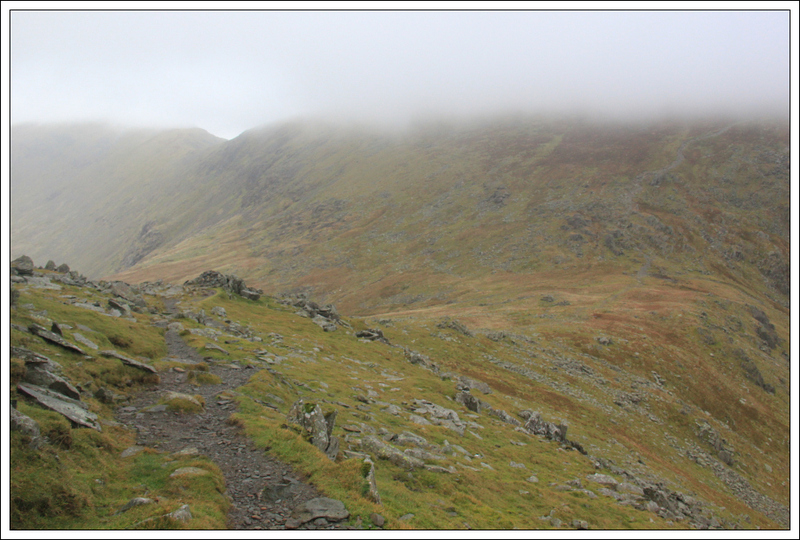 The walk across to Coniston Old Man was hard work in the wind. 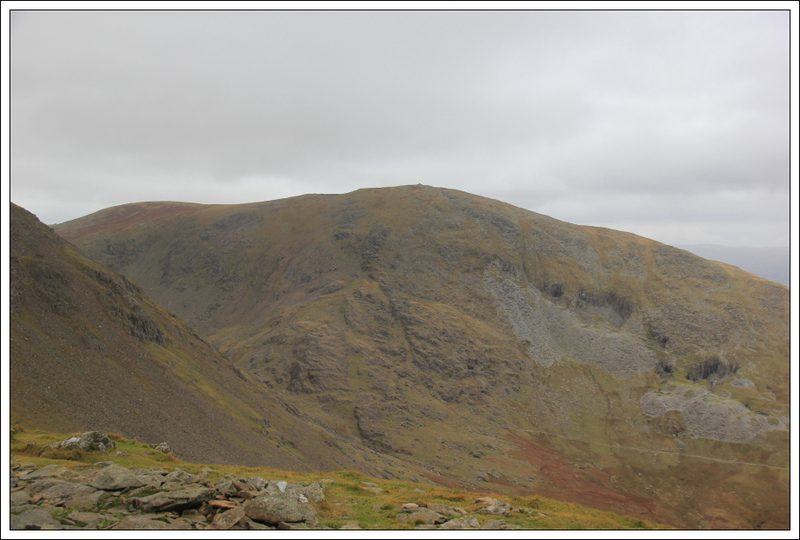 Coniston Old Man provides excellent views across to Dow Crag. 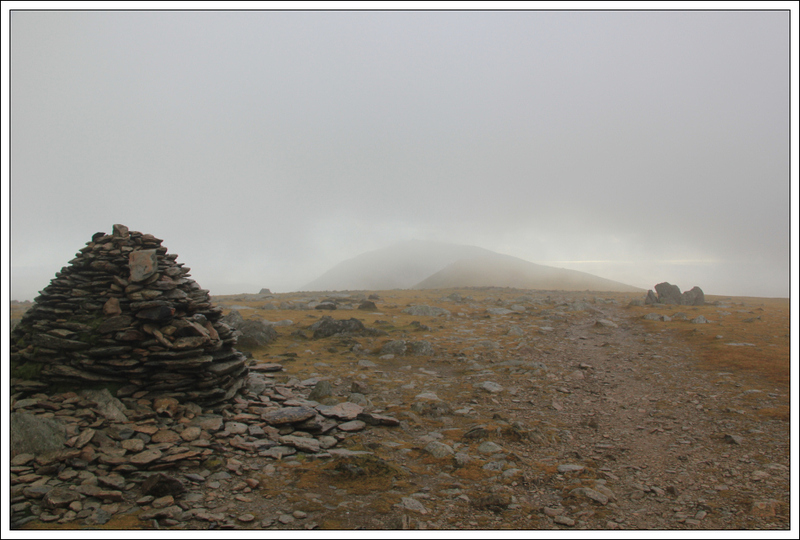 On reaching the summit I visited the trig point and then the summit cairn. 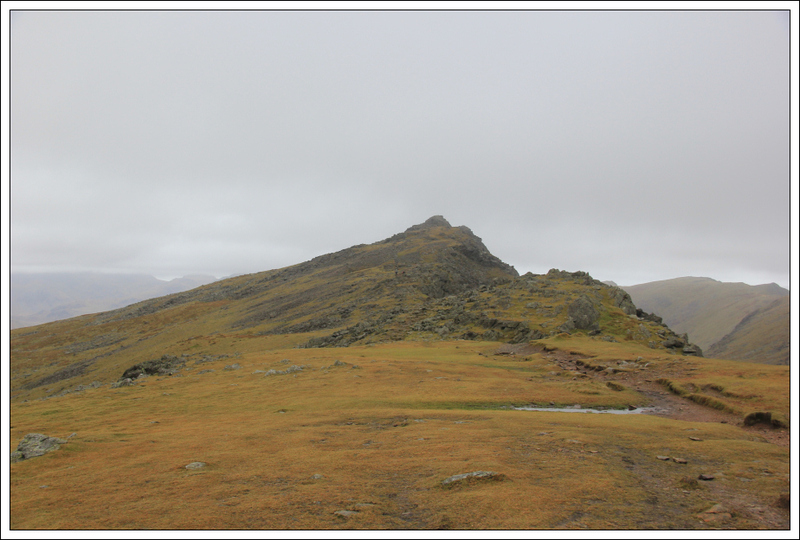 From the summit, I followed the main wide track for circa 100m before taking a much smaller path down the wide South East ridge. 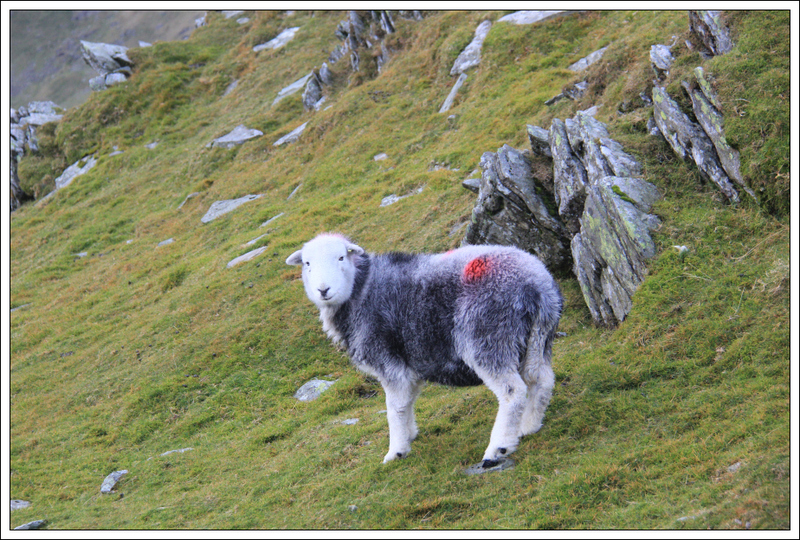 During the descent I passed numerous sheep. It was nice to follow an infrequently used track down the hill. This track provided good views down to the disused quarries. However, I managed to lose the faint track during the descent, either that or it disappeared, and instead used a number of sheep tracks to wind my way down through the crags of Little Arrow Moor. Another nice day out in the Lakes .